The handloom and handicraft sector is one of the major revenue generating sectors of the country and this is the reason it is imperative for the Indian government to take care of the handloom industry. Considering this, the government has decided to take up certain welfare schemes for the benefit of the handloom workers. The government shall offer these schemes depending on the needs based on the interventions for the holistic and much more sustainable development within the handloom sector. The ministry shall offer the up-gradation of the Fund Scheme that has been already implemented by the Textile Ministry. 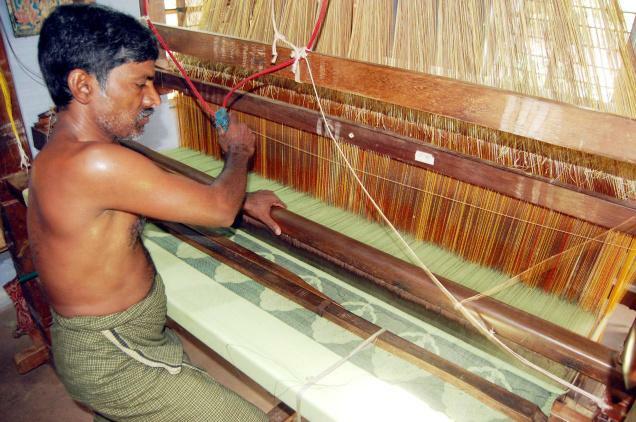 The textile industry is modernized, that includes the handloom sector, offers credit for the entrepreneurs to both the organized and un-organized sectors. This scheme is mainly focused on the weaving, processing, spinning, technical textile improvements and the garment sections. The institutional credit has also been approved by the government of India, and that can be availed within the IHDS scheme, to offer loans for the handloom weavers. And this time the rate shall be more reduced. The government is also offering money at an amount of Rs 4200 per weaver, the subvention interest at 3% for three years from the date and also credit guarantee for the small business organizations. This scheme shall offer the platform for both the organizations and the weavers to take part within the domestic and also the international trade events. This will help them to sell their products directly to the buyers. Now this one incorporates the two different schemes, one is known as the Health Insurance Scheme for the Handloom weavers and the second one is called the Mahatma Gandhi Bunker Bima Yojana Scheme. This scheme helps in availing all the forms of Yarn at the Mill Gate Price for the handloom agencies that are eligible. And then for offering the subsidized yarn for the handloom weavers, this scheme offers a new feature. A 10% subsidy is offered to the cotton hank yarn and the domestic silk yarn has also been started within the Mill Gate Price Scheme. This offers a technical assistance and the skill level up gradation for the weavers. For this, 25 weaver’s service centers have been established and 5 Indian Institutes of Handloom Technology all over the country is set up for the betterment of the earnings of handloom weavers. To enable the fresh credit access for the handloom sector, the GOI has approved the RRR package to waiver off the overdue loan on 31/3/2010. This will be made available for the apex society of weavers’ too. This is also going to help the individual weavers. All the schemes are monitored by the central government of India periodically for innovation purposes.